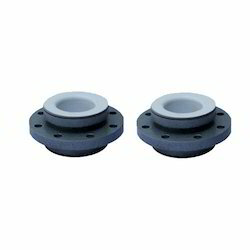 we have been able to provide the customers with a commendable assortment of Lined Spacers. 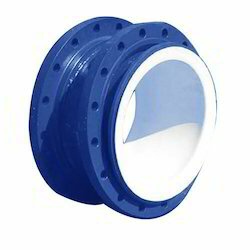 Under this range, we offer MS PTFE PP Lined Spacers, MS PTFE/PP Lined Spacersand PTFE Spacer. Our range is manufactured in strict accordance with the international quality standards using premium grade raw material, which is sourced from the certified vendors of the market. Offered in varied sizes and specifications, the range can also be customized as per the requirements of the customers. We have been able to provide the customers with a commendable assortment of MS PTFE and PP Lined Spacers. Our range is manufactured in accordance with the international quality standards using superior grade components and advent tools. Extensively used in diverse industrial applications, the range is widely reckoned for its attributes such as high tensile strength, reliability, precise dimensions and superior finish. Lined Spacers are used to make up small increments in length and are fitted between standard buttress end components. When incorporating spacers, longer coupling bolts are required together with an additional gasket. Spacers are available in PTFF too.